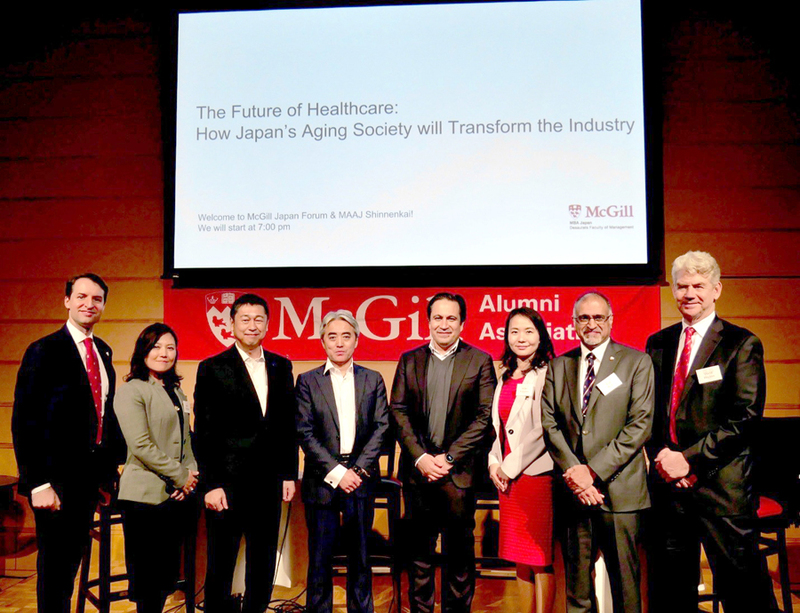 On January 17, 2019, the McGill MBA Japan and the McGill Alumni Association of Japan held its annual McGill Forum and Shinnenkai at The Tokyo American Club. This year’s forum topic was “The Future of Healthcare: How Japan’s Aging Society will Transform the Industry” and it was followed by a Shinnenkai or New Year Party. The event drew over 100 attendees, which included current MBA students, alumni and others in the community, including representatives from the Canadian Embassy, the Délégation Générale du Québec à Tokyo, and senior members of the Canadian Chamber of Commerce Japan.